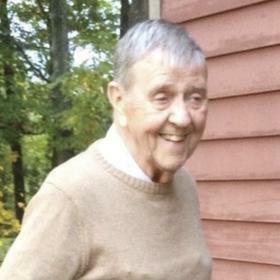 Dale Lawrence Berg, age 86 of Traverse City, formerly of Birmingham, MI, passed away December 19, 2018. Dale was born on June 16, 1932 to Lawrence and Prudence (nee: Turcotte) Berg. 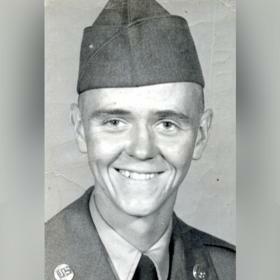 He was a veteran of the U.S Army and worked as a car designer for Ford Motor Company. Dale had a great passion for art and the great outdoors. He enjoyed singing, walking, bird watching and trains. Dale is preceded in death by his parents; 2 brothers, Kirt and Gary Berg and a sister, Cherry Berg. He is survived by many nieces and nephews. Visitation will be held on Wednesday, December 26, 2018 from 3:00pm until the time of service at 5:00pm at Life Story Funeral Home, 400 Hammond Rd. W., Traverse City. Burial will take place at Maple Grove Cemetery in Free Soil, Michigan. I am with God I need you to know. He took my hand, we walked along. Then angels sang so sweet and clear. They sang of love and that Jesus was near. I felt his touch, I saw his face. I knew in a instant I was in his grace. I am home now with God. I need you to know. Please visit www.lifestorytc.com to sign the guestbook and share your thoughts and memories with the family. The family chose Life Story Funeral Home, Traverse City.